5 day intensive driving course, the Fast Track to your driving licence with A class driving tutor. An intensive driving course (aka ´crash course´ or ´Fast track course´) will give you the opportunity to learn to drive in a very short period of time. 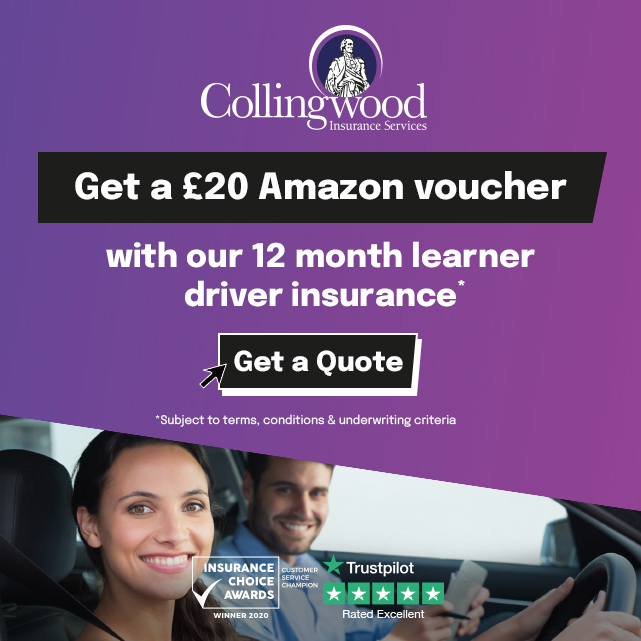 Not all learner drivers will need the same course; some may have already taken some driving lessons with another instructor or practised with a family member, others will be at the start of their learning and will need a longer course. So why choose an intensive driving course ? By taking longer lessons with less time between them means you spend less time recapping what you went over in the previous lesson so you will spend a much higher percentage of your time actually driving! In turn, this lets you gain confidence and skill more quickly saving you money! Crash courses are becoming increasingly popular for people who don´t have the time to wait months before taking a test. You could pass your test in weeks rather than many months of weekly driving lessons. You may have to pass your test quickly for a new job. Shailesh was a great instructor. He was happy to teach me at the fast pace I wanted to learn at and explained everything clearly and professionally. I would definitely recommend him as a driving instructor for anyone looking to do an intensive driving course. My name is Alex, I pass my theory exam on 20th Feb 2013. Like majority of people I decided to contact Mr Patel after good reviews on his website. I am pleased to say that it was great decision! I knew how to drive before; however my previous instructor wasn´t as good as Shailesh. We corrected the mistakes I was doing as also practice all possible situations that may occur on the test, we drove through all of the test roads (Mr Patel know them all - trust me! ) many times. During the lessons, he is very calm and explains you in detail what did you do wrong. He even writes you notes with drawings of the junctions - so you can study/refresh your memory at home! You simply cannot compare Shailesh with other driving instructors: years of experience, great personality and people skills. He will give you amazing tips, how to do all manoeuvres in really simple way etc. Many people hate reversing to corner, after few attempts, you would be doing it like a pro (btw this is what my examiner told me during my practice exam!). Therefore if you are looking for someone to teach how to drive Mr Patel is your guy. Thanks a lot once again Shailesh! I took the intensive course and, it if you have the time and can afford it cannot recommend it highly enough. The lessons are all around the test route and at different times so you are fully prepared for both the test and driving independantly afterwards, including on the A3! I had passed my theory a month before and then after the intensive course of 20hrs, passed my test first time with 2 minor faults. I was 17 when I started and passed in just 20 hours. Shailesh is a great instructor and taught me everything I needed to know very early to allow for plenty of practice. He teaches with confidence and is very patient. As well as this, the Ford Fiesta he teaches in is a great car to learn in and it drives great. I highly recommend Focus Driving school to anyone of any age. Thank-you so much shailesh!I cannot believe i started with no driving experience and with just 5 days of 20 hours lessons i passed!!! I am so greatful for shailesh being so patient with me and pushing me to achieve this. Thanks you so much shailesh,you gave me the confidence and skills to pass first time and forever drive safely. A Brilliant instructor,passed in 5DAY intensive course of 20hours with shailesh. Tom from Esher passed his practical driving test 1ST time on 12/08/2014 at Morden Test Centre. He did intensive course in 5 days with 20 hours of lessons. I passed today with focus driving school and feel very proud of my self.Thanks to my driving instructor shailesh,i managed to pass quiet quickly. I definetly recommend shailesh/ Focus Driving School because they offer cheaper lessons and intensive driving lessons.Shailesh taught me how to drive from scratch in a small space of time and i managed to pass with ease. He not only just a driving instructor, he is a funny guy and sociable. He told my girlfriend to give me a head massage before the test to relax me and it worked for me before the test ,funny enough LoL! Shailesh you LEGEND!Thanks to him i have passed and i´m finally on the roads . .